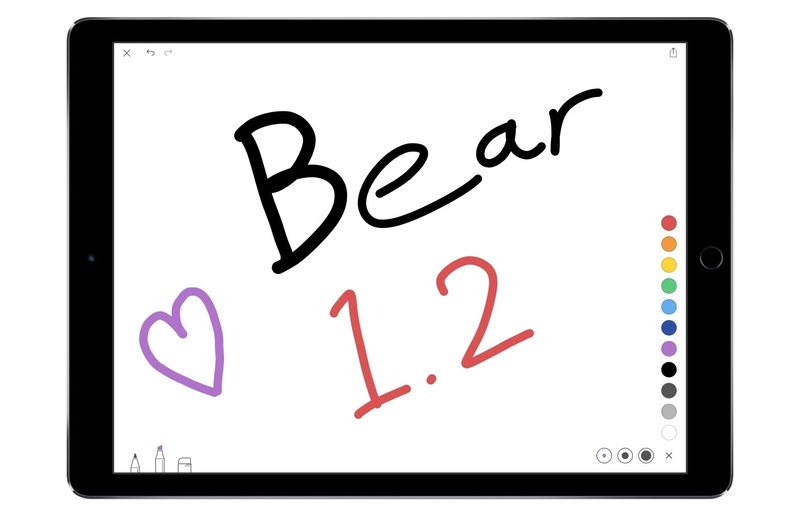 The latest version of Bear was released today for iOS and macOS, bringing several notable enhancements to the Markdown note-taking app on iPhone, iPad, and Mac. For the first time, Bear offers support for sketching on iOS. Using a finger or stylus you can create sketches with the app's pencil and marker tools. Each tool comes in three sizes and a variety of colors. Bear handles sketches in a very similar way to Apple Notes: tapping the sketch button will load a separate canvas to draw on, and when you're done sketching, the canvas is added to the body of your note as an image. While it would have been nice to see a freeform implementation like that of Notability, where sketches act as annotations to text, that would have been understandably more difficult to implement. Bear takes advantage of the new API in iOS 10.3 that allows custom icons for apps. 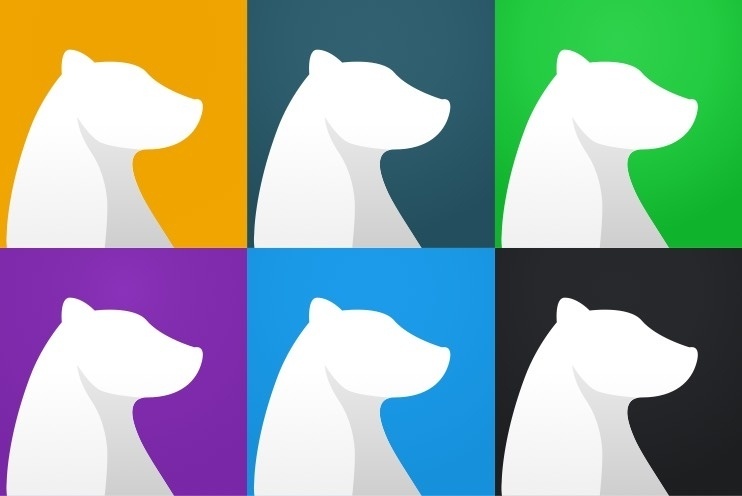 Each of the eight different themes in Bear comes with its own Home screen icon so that the app's outer appearance can match its inner appearance. As a fan of the original Bear icon, I'm thankful that the team at Shiny Frog made custom icons optional, not mandatory; you can flip a switch that determines whether you keep the original icon or adopt the one tied to your chosen theme. Though competitors like Evernote have iMessage apps that extend functionality from the app into iMessage, Bear goes a different route by offering several adorable stickers for your enjoyment. They may not enhance your productivity, but they sure will enhance your communication. Although Bear on iOS already allowed you to have text read out loud, the app now offers full support for Apple's Accessibility feature, VoiceOver. This will allow anyone who is blind or visually impaired to have various interface elements read out loud, as well as enabling gesture support for navigation. Bear launched late last year as a feature-rich, powerful alternative to apps like Apple Notes and Evernote. There was a lot to love in Bear's original release, but since that time Shiny Frog has continued working hard to improve the app in significant ways. Version 1.2 continues that tradition, making a great app even better.